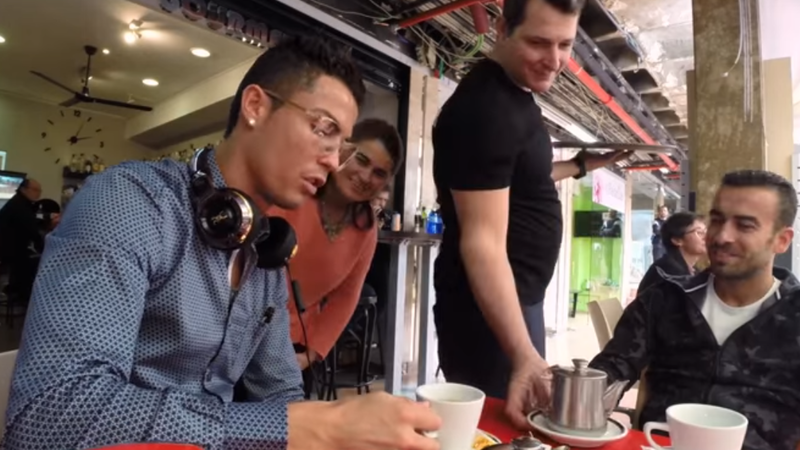 Watch what happens when Cristiano Ronaldo goes out for a cup of tea at a local cafe. How many sips of tea will he have before being swarmed by excited fans? The stunt was a promo for his speaker and headphone brand ROC Live Life Loud. Produced and Distributed by shareability.